First impressions are everything! We recommend creating Welcome Campaigns as they are a great way for your brand to introduce yourself and familiarize customers with your brand. Did you know that customers are most likely to engage with your brand when they are new? Put your best foot forward and set up a welcome campaign in Zaius today. Before we begin, we will want to understand what will trigger this first campaign to go out in your current welcome series. Create a filter. This filter could be called 'email subscribe' with event type = "list" and action = "subscribe". 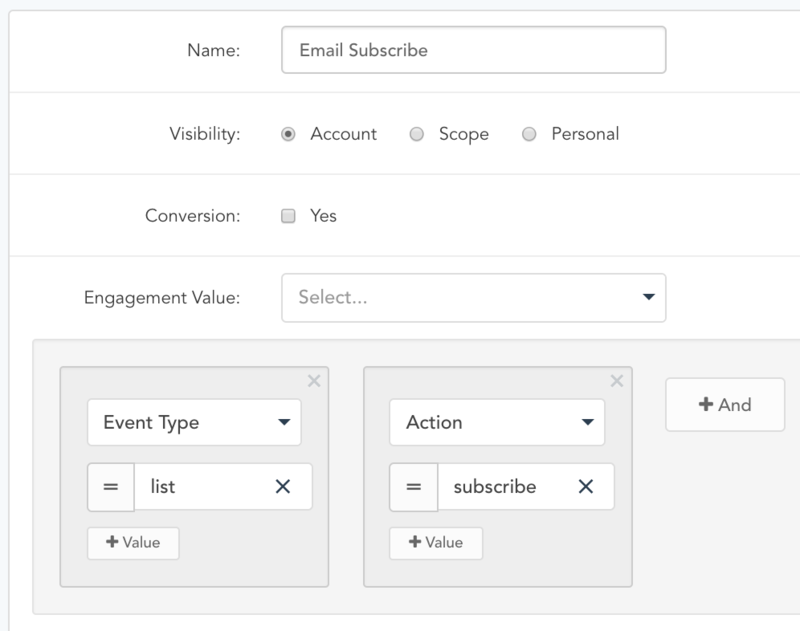 **Note: Customer fields should not be used in filters for event-triggered campaigns. When a customer's profile is updated to include any new field or event, such as logging when a user has opened or clicked an email, the entire customer profile is updated, so using a customer field in an event-trigger may cause users to receive the campaign multiple times. 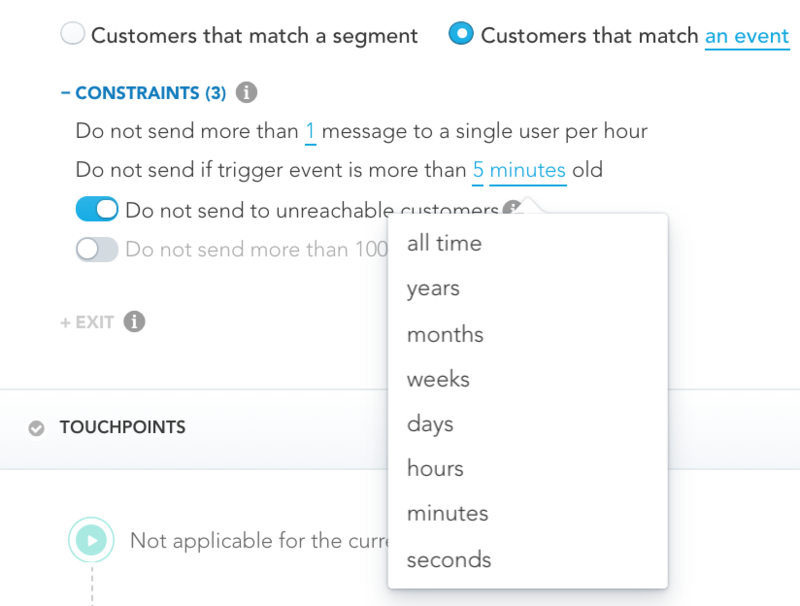 Then, on the campaign configuration page, choose 'Customers that Match an event' and select the filter you just created "Customers that match Email Subscribe" as the event that will trigger the campaign to send out to the user. 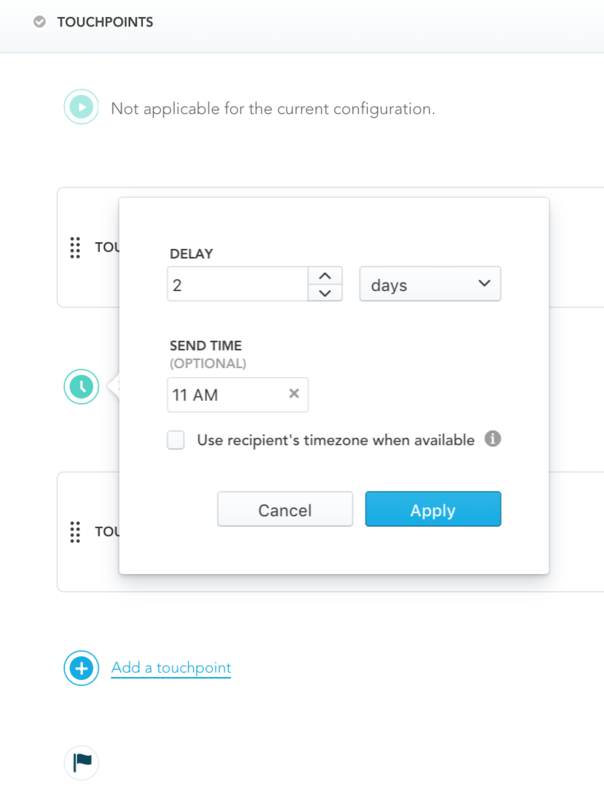 When sending event-triggered campaigns, scheduling is Not Applicable because the sends are triggered when Zaius receives a user's subscribe event. 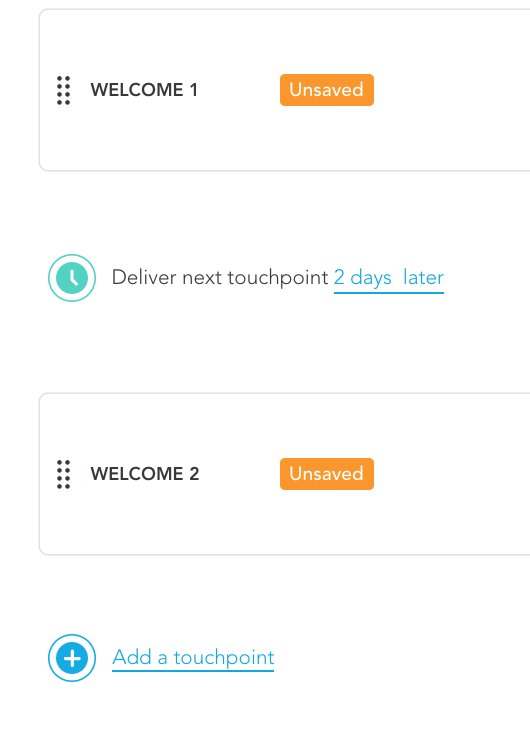 With this second touchpoint configured, users who subscribe on your site will immediately receive the Welcome 1 touchpoint, and then 2 days later, they will receive the Welcome 2 touchpoint. *Advanced Use Case: In Zaius, edit your campaign to treat the new customers who have purchased different from those who have not yet purchased. For more ideas on this, reach out to your Customer Success Manager.